With hundreds of diamond scales available it can be overwhelming to decide which diamond scale to buy. Diamond Scales are available in a wide range of prices. A diamond scale or carat scale is streamlined and offers a high degree of accuracy. They’re designed to detect carat weight up to.0005. This is important for jewelers. The digital readout of a diamond scale or carat scale provides fast, accurate results, no matter what kind of jewelry you put on the scale. Diamond scales feature backlighting so results can be read in any lighting conditions. In a wholesale environment, high volumes of diamonds and other gems are weighed regularly, which requires a scale that will provide precision and accuracy, even with heavy use. After extensive use a diamond scale can lose accuracy and require calibration. 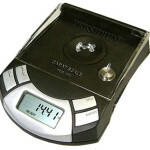 The most advanced diamond scale has features to make calibration simple. This helps ensure that everything you weigh will be measured accurately. Many times, jewelers weigh several pieces at a time, particularly in wholesale environments. This can be difficult unless the pieces are weighed in a cup or other container. A tare weight feature is helpful in this situation because it weighs the container and factors this measurement out, so you get a precise reading on the jewellery it contains. Many scales also weigh in a variety of modes, such as grams, ounces, pennyweights, grains and carat scales. This means they can weigh diamonds and gems in carats, while weighing precious metals and other jewelry in grams or ounces.